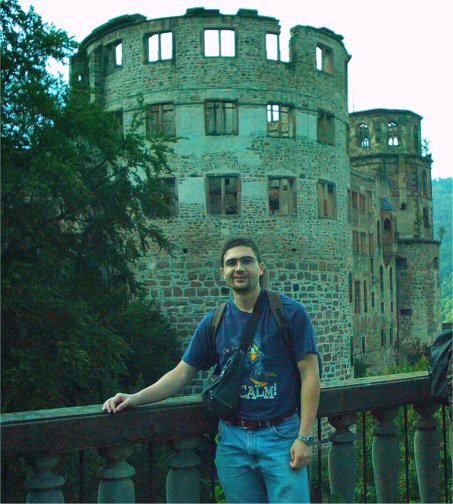 I had the chance to visit the historic city of Heidelberg during my stay in Germany. I wish I could post pictures from other cities and towns I visited, but that will have to wait. Never the least, I must admit that I was very impressed by the festival culture of Germany. 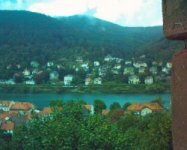 I was staying in Mannheim and with my free time from my internhip at BASF AG, I went to the weinfests on the weinstrasse with my friends. I attended many concerts and tried every single type of wine available. Very recommended. After I scan my other pictures, I will post them under a new section as well. 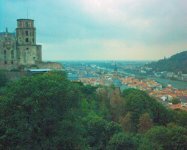 The first picture is a view of the city of Heidelberg from the castle (or Schloss). The city itself has a very warm feeling to it due to its nice, old houses. 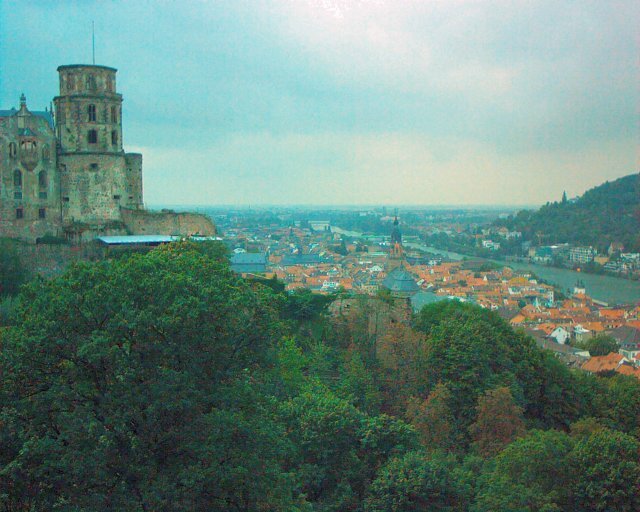 Heidelberg also hosts a university that is well known in medicine. 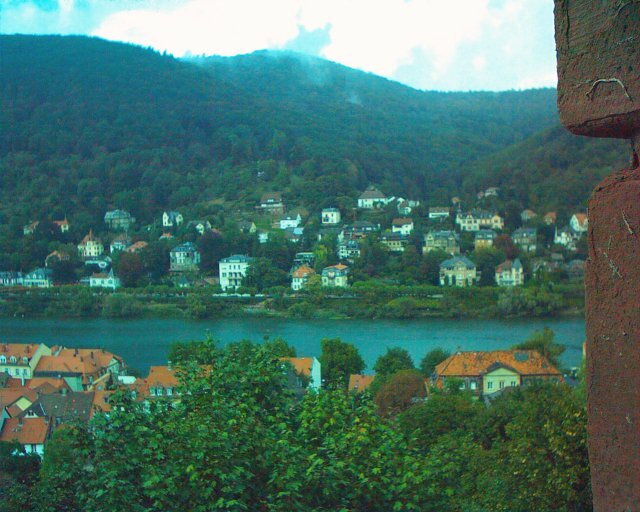 The schloss, unlike many other historical buildings, was not bombed during the second world war. However, some of it has fallen apart due it its age. It is definately worth a visit if you go to Germany. The schloss and the city stand in so much harmony together that the castle has almost become a symbol of the city.